Orchid Paradise Homes is all about enjoying your holiday and life in Thailand. In Orchid Paradise Homes we wish to emphasize on family life and good times for both holidaymakers as well as permanet residents. Our common area serves as the heart of our small village; here is always room for kids and fun around the big swimming pool and waterslide and nightly get-togethers for the adults in the bar and restaurant. Our friendly staff is at your disposal if you need advise or assistance in planning trips and tours in and around wonderful Hua Hin. Do you wish to rent out your house when you are not in Thailand? Orchid Paradise Homes offers efficient rental management at low operating costs and consistently high levels of quality in all steps of the process. Our approach is friendly and personalised retaining close relationships with clients and tenants at all times. 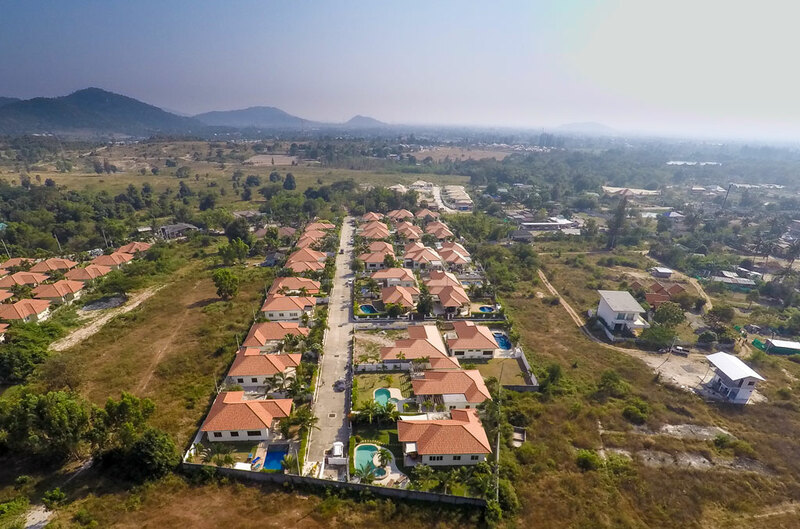 Orchid Paradise Homes has a very functional and easy manageable rental website dedicated to holiday rentals ( www.thaivactionhomes.com ) where your house will be listed and promoted. All you have to do is to inform when you wish to rent out and Orchid Paradise Homes will take care of the rest; administration, management and maintenance. We answer all inquiries, confirm bookings, manage check-in / check-out, house cleaning etc. All you have to do is to relax and watch while your villa creates a solid revenue for you while you wait for your next vacation in Thailand! Orchid Paradise Homes has successfully been manageing house rentals for our satisfied villa owners for more than 5 years now.